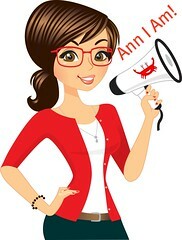 Ann I Am! : Need Ideas for Kid Fun this Summer? Need Ideas for Kid Fun this Summer? If you are in need of ideas for fun things to do with your kids over the summer and throughout the year, Family Fun magazine is always a great resource. You can get a free, no-strings attached, subscription for it right now by clicking HERE. That magazine always has a bunch of great ideas. Some of them are good throughout the entire year.